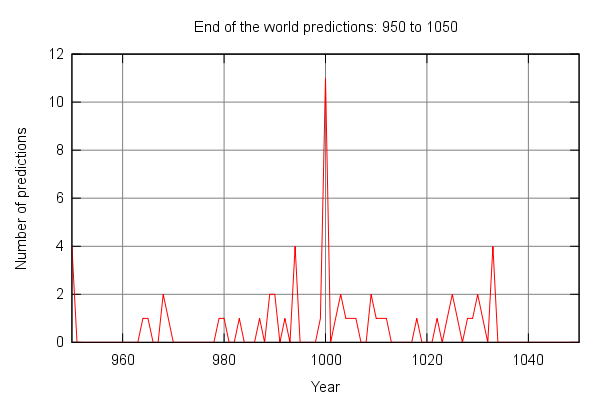 subnormal numbers: The world is going to end! Though probably not anytime soon. 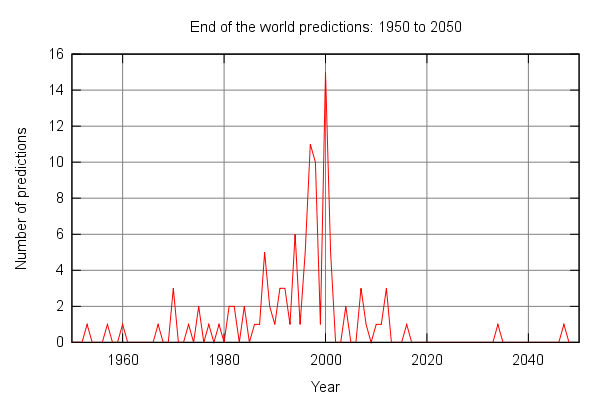 I found a site listing 242 dates for the end of the world. 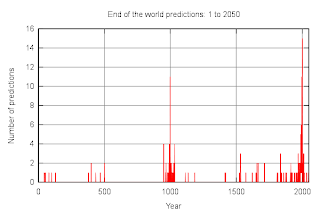 Not sure how accurate the list is, if nothing else I'm sure they missed a few predictions. 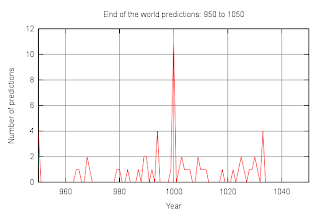 For my purposes I was curious how the number of predictions varied over time. The site mentioned above was the best list I found in an easy to parse format with a large number of predictions. 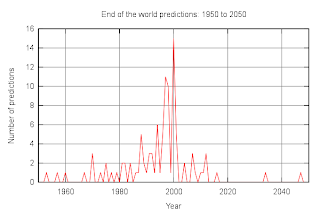 The authors of the site state that making end of the world predictions is ludicrous because of Mark 13:32. I prefer the simpler explanation that there is no evidence for the ridiculous claims being made. 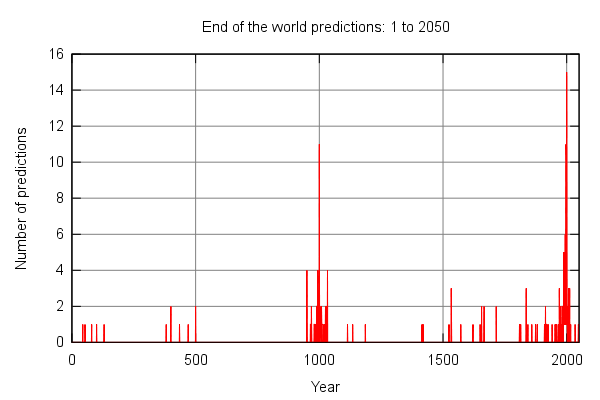 Maybe we will get lucky and after the 2012 nonsense is over doomsday predictions will take a rest until we get closer to the year 2500. However I'm predicting that with technology making it easier to both record and disseminate these types of wacky claims, we will see a steady stream going forward.